Summer is only about 12 weeks away. Sorry, I don't mean to scare you, but it is. So if you are a working parent, or one that likes to have their kids actively engaged during the summer, you may need to start thinking about summer camp. Summer Camp. I always think about all those TV programs and movies about summer camp, mostly the sleep-away variety, where there is rarely an adult to be seen, and the kids have the summer of their lives. In reality, summer camp can be a necessity for working parents, and can look like anything from sleep away camp to a few teenagers overseeing a group of kids at the local playground. Here's a little secret. . .summer camp isn't just for your kids . . .it's for you too. 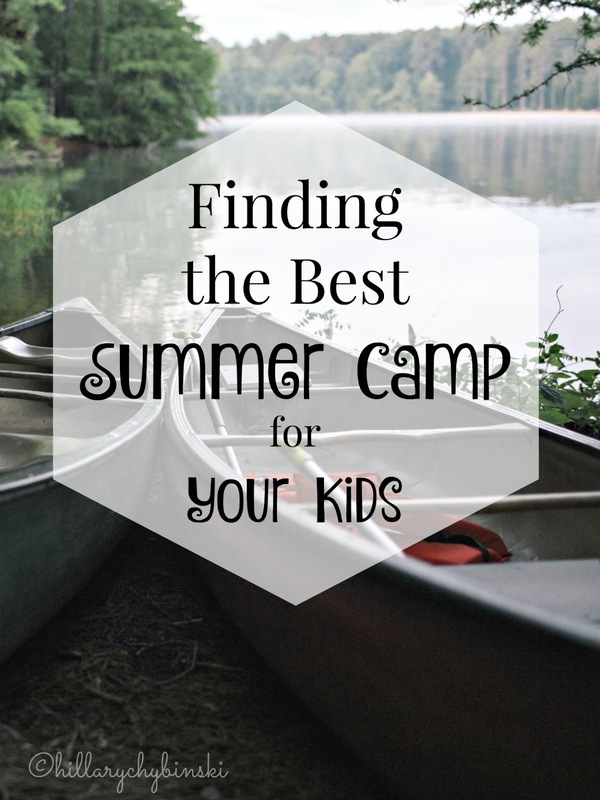 So how can a parent find the right summer camp for them AND their kids?? Day camps can be a great place to start! We have been with our day camp, ESF Summer Camps for nine summers, and are planning our tenth! We are fortunate enough to live in an area with a large number of day camp options to choose from. Some would say there are almost too many choices. So how did I narrow it down to the camp of our dreams? Research and an in-person visit. It seems like a cliche, but I knew the moment I walked into ESF, that it was the right camp for us. History - How long as the camp been around? These days a camp couldn't stay in business for years if it was unsafe or poorly run. Philosophy - Is there a focus, like art or sports? How is that incorporated into their programs? Staff - A well-trained staff is a must. A low counselor-to-camper ratio is desirable, but it's also important that proper background checks and references are completed. Community - A good camp considers how kids are incorporated together to provide the most inclusive community for everyone. Choice - Not many kids want to do the same thing every day all day. What choices does your camp offer its campers? Communication - How do parents find out what happens at camp? How will you know if your child is thriving there? A great summer camp experience can be a wonderful opportunity to give your child some independence. Camp lets kids roam and play in ways they rarely do in their own neighborhoods these days.Even with an increase in tech camps, summer camp takes them away from computers, TV, and other high-tech time-suckers, swapping them for conversation, fun, and games in a natural and relaxed setting. Camp can also be a great opportunity to prepare your kids for their futures. Since most camps are no-parent zones (except for family events and shows), kids have to learn how to separate from their families, helping them to become resilient and independent. A great summer camp can give them a safe (and fun) way to take those necessary steps. What has been so wonderful for us, is that I was able to find an amazing day camp that had programs that interested BOTH my kids - so only one point of drop-off and pick-up! My oldest has been an avid Sports Camp camper, enjoying the high activity level and focus on sportsmanship and skill building, while my younger one prefers the regular Day Camp program that includes a show, some arts and crafts, sports and other day camp activities. Both kids also had swimming lessons and have the opportunity to fine tune and practice their skills every day while at camp. As your children get older, finding programs can be a bit more difficult. This year, ESF is introducing a Leadership, Exploration and Development program, geared towards kids ages 15 to 17. This is a great alternative to kids that aren't interested in a sports or arts related day camp. Do you have a summer camp you love? I am ALL ABOUT summer camp for kids!